Your greatest power lies in being You. Discover the greatness that lies in thing You, in the wholeness of who You are, in the perfection of your complete Being. Free your Self from the layers of falsehood that keep your True Nature obscured and allow your uniqueness and power to shine. 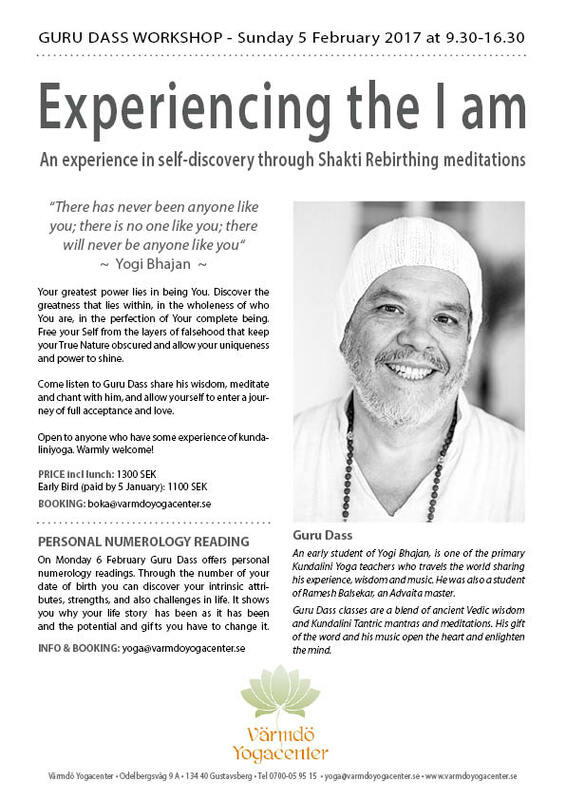 Guru Dass is a direct disciple of Yogi Bhajan (Kundalini Yoga) and Ramesh Balsekar (Advaita) who began his spiritual quest as a teen, having his first Kundalini Yoga experience at the Woodstock Festival in 1969. By the time he was 18 he was living in an ashram and teaching Kundalini Yoga. At 20 he had traveled to India and studied with different masters. In the 70’s he pioneered Kundalini Yoga in Spain and Europe. ​Since 2001 Guru Dass has been traveling, teaching and sharing his music all over the world. He has trained hundreds of Kundalini Yoga teachers in courses he leads in different countries. 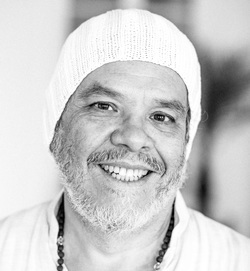 He is presently one of the most knowledgeable and experienced Kundalini Yoga teachers in the world. Guru Dass' path as a seeker has turned him into a teacher with a deep understanding of consciousness. He has the gift of the word, of speaking in a manner that frees the mind and opens the heart. His classes offer us a journey through Jnana, Shakti and Bhakti yoga, along with his mastery of mantra and chanting. He is a musician and has recorded numerous mantra and spiritual song CDs. ​Guru Dass is a father, grandfather and husband.